Very creative ideas for your garden plants. Debbie is a big-time home gardener who has expanded into creating and selling her garden art. Enjoy this video and maybe it will inspire you to let your creative juices flow! "We use purified drinking water to flush our toilets and water our lawns. That doesn't make any sense," says Charles Fishman. "In an era of scarcity, we won't need to limit whether we have water to boil pasta or take a bath. But we will think differently about a whole portfolio of water. There will be different kinds of waters for different uses. And water itself will get smart." The typical American uses 99 gallons of water a day for activities like washing clothes, bathing, toilet-flushing and cooking. But that amount doesn't even come close to the amount of water used on a daily basis by electrical power plants. "The last 100 years has been the golden age of water in the developed world: water that has been safe, unlimited and essentially free," he tells Fresh Air's Terry Gross. "But that era is over. We will not, going forward, have water that has all three of those qualities at the same time: unlimited, unthinkingly inexpensive and safe." Currently, one out of six gallons of water acquired, treated and pumped by water utilities in the U.S. leaks back into the ground before it can be used by a home or business. This, says Fishman, will change — but only if technology at water utility companies starts to improve. "Water utility companies are run the same way they were 30 or 40 years ago," he says. "They don't understand what's going on in their own pipes. As technology allows us to see what's happening to the water in the water system — whether it's in a factory, university or whole ecosystem — we'll be able to manage that water much more smartly." 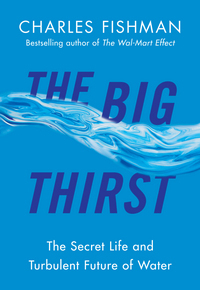 In The Big Thirst, Fishman examines different areas of the world already grappling with water shortages. He profiles parts of Delhi, India, where people line up twice a day with buckets for clean water, and Las Vegas — which, despite having all forms of water entertainment for visitors, is currently dealing with one of the biggest water shortages in the nation. "Thirty years ago, Las Vegas was run much the way every other city in America was run — people watered their lawns whenever they wanted [and] they washed their cars whenever they wanted," Fishman says. "But then a woman [Patricia Mulroy] became the head of water [management] in Las Vegas, and she looked at the pace of growth of the city ... and she started working on rules that would, over time, change the culture in Las Vegas." Las Vegas now pays residents $40,000 an acre to take out their lawns and replace them with rocks and native plants. That's much cheaper, Fishman says, than figuring out how to pump more water into the city, which takes 90 percent of its water from a lake plagued with drought issues. And, he says, by implementing stringent water usage rules — it's illegal in Las Vegas to spray a sidewalk with a sprinkler, for instance — the city has saved millions, both in dollars and in gallons. "Las Vegas, over time, has come to recapture almost all of the water used anywhere [in the city] indoors," he says. "Although Las Vegas has what was, for a long time, the largest fountain on Earth and shark aquariums and lagoons that re-create the canals of Venice right on the strip, over the last 20 years, per-person water use in Vegas has fallen 100 gallons." The city's public golf courses have also cut their water usage. Angel Park, which used to use almost 2 million gallons of water a night, has cut its water usage in half over the past 15 years. "They have pulled out a third of the turf in the golf course," Fishman says. "You now tee off from a grassy green and your ball heads for a hole that is a grassy green, but in between [are] dessert ravines and arroyos landscaped as desert landscape. And that's all different than the desert used to be. ... 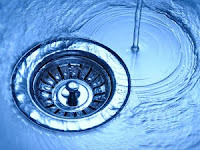 They've gone from using more than 600 million gallons of water a year down to about 376 million gallons of water a year." Company and the author of The Wal-Mart Effect. But cities with water shortages aren't the only places looking to conserve water, Fishman says. Both IBM and GE have recently reconfigured their facilities to reduce their water use and save money, he says. "Over 10 years, [IBM] reduced their water use by a third while they increased their chip production by a third," he says. "So they increased the efficiency of their water productivity by about 80 percent." In the next 30 years, Fishman predicts, private companies will develop the technology to make water utility plants more efficient. But, he cautions, it's important to make sure water remains a public resource. "You don't want to let companies end up in control of the resource itself," he says. "We need to be careful not to cede those rights ... while we also take advantage of the innovations. That's a question of making sure that we understand the economics and policies on a community-by-community basis. There's nothing wrong with companies innovating [solutions for] water as long as the water remains a public resource. And that's really important." "The average U.S. home pays an average of $34 a month. So our always-on, unlimited, almost universally reliably safe water costs us about $1 a day. Our water bill is less than half what our cable TV bill or our cell phone bill is. So cities are starved for financial resources and water utilities are often in terrible shape. In Philadelphia, there are 3,300 miles of water mains in the city, and they replace 20 miles a year. They're on 160-year replacement cycles. One of the officials from the Philadelphia water utility said to me, 'We want to make sure we get the 20 miles right.' That's not a question of money, it's a question of public resistance to digging up streets." "One of the big problems of water is that the success of the golden age of water has created an invisible system. We don't even take [water] for granted because taking it for granted would suggest we pay attention to it. That hidden system is corroding, and as it corrodes, it even corrodes our support for public water. We think, 'Why should I pay more for water? I'll just go buy bottled water.' But, in fact, we don't actually spend that much money supporting the system. In the U.S., we spend $21 billion a year buying bottled water, and we spend $29 billion a year maintaining the entire water system — pipes, treatment plants, pumps. We spend almost as much on crushable plastic bottles of water as we do maintaining the water system." "We use a lot less bottled water in our house than we used to. We're always promoting bringing the refillable bottle of water to the soccer game or the dance lessons. There are still water bottles kicking around the minivan and the house. One of the smallest but most significant changes in my own habits is I almost never pour water down the drain now. When somebody leaves a half-empty bottle of water around the house or in the minivan, I pour them right in the dog bowl or in a plant in the house." Everyone is an expert on water. We all know how it feels to be so grungy that nothing but a good shower will make us feel better. We know how it feels to be so thirsty that only water will really satisfy us. And we know exactly how the water will taste — really, how the water will feel — going down, in that first swallow. We know how light shines through water in a drinking glass or a swimming pool. We know how to anticipate the arc of water from a drinking fountain, and the force of a wave at the beach, although we can be surprised by both. We know the sharp smell of rain misted through the air after a summer downpour. Snowy air has its own smell, chilly early morning fog has its own smell, the humidity in Key West has its own smell. Water speaks a whole range of languages, specialized and universal, utilitarian and poetic and romantic. Sometimes they are all talking at once. The feel of water is as familiar as the feel of our own skin. The playful, sparkling flow of a creek through our fingers, the thrill of planing a hand across the top of the water over the side of a speedboat. The trickle of a single bead of sweat down your nose during a run. We know the shapes of shifting light that water makes on the bottom of a swimming pool (although we may not know they are called "caustics"). And we know the captivating power of a waterfall, how in the end you have to simply pull yourself away from watching the cascade, which manages to be always the same and always different, never boring. And yet, for all our intimacy with water, we actually know almost nothing about it — about water itself. Water is as potent in our daily lives as gravity, but also as mysterious. We think of Earth as a watery planet, indeed, we call it the Blue Planet; but for all of water's power in shaping our world, Earth turns out to be surprisingly dry. A little water goes a long way. At the most personal level, there is a bit of bad news. Not only don't you need to drink eight glasses of water every day, you cannot in any way make your complexion more youthful by drinking water. Your body's water-balance mechanisms are tuned with the precision of a digital chemistry lab, and you cannot possibly "hydrate" your skin from the inside by drinking an extra bottle or two of Perrier. You just end up with pee sourced in France. In short, we know nothing of the life of water — nothing of the life of the water inside us, around us, or beyond us. But it's a great story — captivating and urgent, surprising and funny and haunting. And if we're going to master our relationship to water in the next few decades — really, if we're going to remaster our relationship to water — we need to understand the life of water itself. One of the great scientific students of water is Dr. Richard Wolfenden, alumni distinguished professor of biochemistry at the University of North Carolina at Chapel Hill. Wolfenden, seventy-five, is a researcher who has spent much of his career studying how water shapes our body chemistry, inside our cells. Proteins in our cells manage every element of human life, and the key to the effectiveness of proteins is the way their long chains are folded into intricate and precise shapes, like tiny molecular origami. Proteins only work — which is to say, everything about our bodies only works — if the folding is exactly correct. That folding, it turns out, is engineered by water. "Proteins know how to fold up because they have the rules written into their atoms," says Wolfenden. "And the rules are entirely a reflection of how eager that part of the molecule is to get away from water or to cling to water. To say that water is essential hardly covers it." Asked if he is optimistic about our future relationship to water, Wolfenden is silent for a moment. Then he says, "I think our relationship to water is going to be one of the deciding things of the next century. I don't think water's in any trouble. But we might be." No expression in common usage is as thoroughly wrongheaded as "dull as tap water." One thing water is not is dull. Given our intimacy with water, our dependence on it, and water's apparent simplicity — "H2O" is surely the best-known molecular formula in human consciousness — the surprising thing is how many surprises the story of water contains, and how many flat-out mysteries. Often the two go hand in hand. One of the great myths about water is that it is the most common substance on Earth. Indeed, you can Google search "the most common substance on Earth," and water pops up repeatedly. The Earth's surface is 71 percent covered in water, and water is the primary force shaping every element of the character of the planet — the geology, the weather, the range and variety of life, the planet's gleaming profile in space. But unless you're playing a children's game in which you mean that water is, quite literally, the most common substance sitting on the surface of the Earth (as opposed to the most common substance making up Earth's composition), then the amount of water on the planet's surface is trivial in every way except its impact. The total water on the surface of Earth (the oceans, the ice caps, the atmospheric water) makes up 0.025 percent of the mass of the planet — 25/100,000ths of the stuff of Earth. If Earth were the size of a Honda Odyssey minivan, the amount of water on the planet would be in a single, half-liter bottle of Poland Spring in one of the van's thirteen cup holders. Put another way, if the oceans on Earth were as deep, in relative terms, as the skin on a typical apple is thick, they would average ten kilometers deep instead of four kilometers, and all the land on Earth would be inundated except the planet's tallest mountains. Once you actually pause and appreciate how fine the film of water enveloping Earth is, water's impact is even more dramatic. The oldest rock discovered so far on Earth — in northern Quebec — is 4.28 billion years old. That's an old rock — it's getting close to the age of the solar system itself, estimated at about 4.6 billion years. But turn on the faucet in the bathroom to brush your teeth, and the water pouring out is probably just a bit older than Canada's old rock. Scientists don't agree on the precise age of the water on Earth, but it's certainly 4.3 or 4.4 or 4.5 billion years old. It's one of the more astonishing things about water — all the water on Earth was delivered here when Earth was formed, or shortly thereafter. The water around us is original equipment — it was included with the planet itself, in the first 100 million years or so. There is, in fact, no mechanism on Earth for creating or destroying large quantities of water. What we've got is what's been here, literally, forever. And it all arrived on Earth in exactly the form it's in now: H2O. Water not only came from space, it was created out in space. It is, in fact, cosmic juice, formed hundreds of millions, or even billions, of years before the solar system itself. Once you understand the lineage of water, you realize that the ads touting Evian ("born in the French Alps") and FIJI Water ("untouched by man") dramatically understate the case. Gary Melnick is a senior astrophysicist at Harvard University's Center for Astrophysics who has spent years using orbiting telescopes to study star formation and water in space. He was part of the team that in 1997, using the European Space Agency's Infrared Space Observatory (ISO), discovered an interstellar spring of water of astonishing scale. They pointed the ISO telescope at Orion, a constellation that is quite easy to spot with the naked eye on a clear night. The stars of Orion are part of our own Milky Way, and one shining spot in Orion — the middle dot in Orion's sword — is in fact not a star but a massive, glowing cloud of gas and dust, the Orion Molecular Cloud. That cloud is the kind where new stars form, condensing out of the hydrogen gas. "Orion is the closest region to Earth where massive stars are being formed," says Melnick. The full cloud of hydrogen, which looks to the eye like just that one dot in Orion, is of such vast scale that it is giving birth to thousands of stars at once. When Melnick and his colleagues used the telescope to look at part of the Orion Molecular Cloud, he says, "What we found was that there is enough water being formed sufficient to fill all of Earth's oceans every twenty-four minutes." As the stars coalescence and collapse in on themselves, they send shock waves out through the clouds of gas, which contain lots of loose hydrogen and oxygen. When the shock waves slam the hydrogens and oxygens into each other, they often form water. Hydrogen, for the record, is the most common element in the universe; oxygen is the third most common. The result, right there in the sword hanging from Orion's belt, is a water factory that is making the equivalent of all the water on Earth, sixty times a day. Have a look at the Pacific Ocean, or the Atlantic Ocean, or something small like Lake Michigan, and think about creating just that much water three times an hour — the scale is really almost hard to credit. All the water on Earth, sixty times a day? That's one swampy patch of the Milky Way. Not quite, says Melnick, with the bemusement of a guy used to thinking in cosmic distances that the rest of us find literally unimaginable. 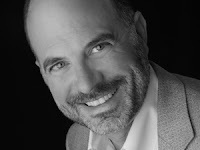 "The cloud is creating enough water molecules every twenty-four minutes to fill all of Earth's oceans," says Melnick. "The density of the water, well, it's not like if you were floating out there, you'd get hit with a bucket of water in the face or anything." While the cloud is making sixty Earth waters every twenty-four hours, it is doing it across a span of space 420 times the size of our solar system. "It is the same as cool mist," says Melnick. "It's just a lot less dense." Water forms in interstellar clouds in another way, equally familiar and equally alien. The hydrogens and oxygens literally mate on the surface of tiny grains of dust that are part of the interstellar clouds. In the cloud, says Melnick, "hydrogen hits the dust grains quite frequently. And every once in a while oxygen will hit the dust grains too, and linger." What happens next isn't quite clear, says Melnick, "but somehow the hydrogen finds the oxygen and forms OH. Then another hydrogen finds it and forms H2O." The new water molecules form a thin coating of ice on the dust grain, like what you find on ice cream that's been in the freezer too long. And sometimes the water from the cool mist lands on a dust grain, and clings. "If the dust grain is cold, in almost all of those cases, the water will stick to it and not come off," says Melnick, "just the way your tongue sticks to a cold pole in the middle of winter." Your tongue, of course, is covered with saliva that is 99.5 percent water, water which was itself once floating around in interstellar space, perhaps frozen onto a dust grain. And that's it, as far as the astrophysicists and the astrochemists understand it at this point: All the water on Earth — the thunderheads, the snow-covered ski slopes, Old Faithful, and the current of the Mississippi River — started out as the finest mist, the smallest ice cubes, drifting around inside an interstellar dust cloud. In general, there is no dispute about that. Here's the mystery. Scientists don't actually know how that water gets from the interstellar cloud to Niagara Falls. And perhaps most startling of all, they don't know how much water there is on Earth. From The Big Thirst: The Secret Life and Turbulent Future of Water by Charles Fishman. Copyright 2011 by Free Press. Excerpted with permission by Free Press. I have been building raised beds made with 2"X12" redwood boards for thirty years now. I usually nailed the corners, then started using metal brackets when the joints would start to pull apart after many years of use. I especially like having 12" high boards so I can sit on them while planting. Much better than leaning over and stressing the back. I just found these brackets online. They make building a raised bed really easy for anyone to do. They are a little pricey, but might be worth it for ease of use. The second perk is that they are really nice looking. This little video demonstrates how these new corners work. Enjoy! 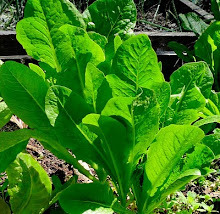 How to build an MBrace raised bed from Art of the Garden on Vimeo.